The Sunset at Aninuan Beach Resort is perfectly located for both business and leisure guests to Puerto Galera. All 17 guestrooms at The Sunset at Aninuan Beach Resort provide all the comforts and conveniences guests would expect in a hotel in this class. 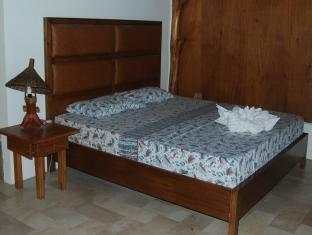 The guestrooms are equipped with non smoking rooms, air conditioning, desk, in room safe, shower. The basic amenities provided at this Puerto Galera accommodation comprise bar/pub, laundry service/dry cleaning, restaurant, safety deposit boxes, hotel/airport transfer. The Sunset at Aninuan Beach Resort offers massage, pool (kids), golf course (on site), water sports (motorized), water sports (non-motorized), outdoor pool, private beach to provide extra pleasure and relaxation for all guests. The Sunset at Aninuan Beach Resort creates a balance of rich culture and modern convinience to ensure you a memorable stay. To make a reservation at the Sunset at Aninuan Beach Resort Puerto Galera with our secure online reservation form, please choose your preffered period of stay.